Transgenesis or transgenics may be defined as the introduction of exogenous gene / DNA into host genome resulting in its stable maintenance, transmission and expression. The technology offers an excellent opportunity for modifying or improving the genetic traits of commercially important fishers, mollusks and crustaceans for aquaculture. The idea of producting transgenic animals became popular when Palmitter in 1982 first produced transgenic mouse by introducing metallothionein human growth hormone fusion gene (mT-hGH) into mouse egg, resulting in dramatic increase in growth. This triggered a series of attemptson gene transfer in economically important animals including fish. The most promising tool for the future of transgenic fish production is undoubtedly in the development of the embryonic stem cell (ESC) technology. There cells are undifferentiated and remain totipotent so they can be manipulated in vitro and subsequently reintroduce into early embryos where they can contribute to the germ line of the host. This would facilitate the genes to be stably introduced or deleted . 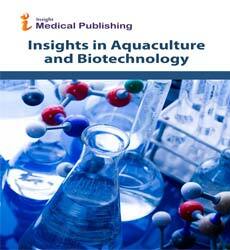 Although significant progress has been made in several laboratories around the world, there are numerous problems to be resolved before the successful commercialization of the transgenic brood stock for aquaculture. To realize the full potential of the transgenic fish technology in aquaculture, several important scientific break Ð through are required.